Suzanne Link Allen will present “Preserving Memories of Delaware County Trains and Railroads” at 7:30 p.m. on Tuesday, Oct. 2, in the Community Room of the Delaware County Public Library, 84 E. Winter St., Delaware. Allen has a long history with Delaware County trains. Her great-great-grandfather, Thomas Barton, sold land near Ashley to the railroad in 1849 when the railroad was being built. This makes that track about 165 years old. She has visited many railroad museums, including the O. Winston Link Railroad Museum in the old Roanoke Norfolk & Western passenger station in Roanoke, Virginia. O. Winston Link is Allen’s sixth cousin. She had several relatives who worked on the railroad, and she has constant reminders with the trains passing near her home several times a day. 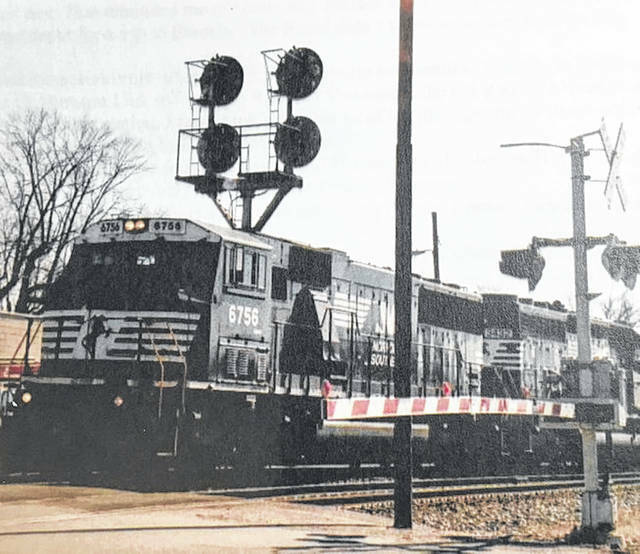 It was these connections that convinced Allen to collect as much information, memories and photos as she could while they’re still available, and this has resulted in a book on Delaware County and other nearby railroads. The presentation will include many photos from this book. This is one of several books that she’s authored on her family and the Big Walnut area. session in the Community Room. This is a free public service provided by genealogy Librarian Larry Dulin. Share your genealogy research stories, the good, the bad and the ugly, including your triumphs, lament over your brick walls. The group help newcomers just getting started and offers new sources of information, including free and worthwhile sites to explore. There will be time to answer your questions. The goal of the local genealogical society is to add to your joy of the quest by encouraging others to get involved and sharing their work with those attending. The Oct. 2 program is open to the public and free of charge.